“Sicario: Day of the Soldado” is the lucky beneficiary of every belligerent tweet, crying child and political point scored in the chaos of the current Mexico/U.S. border crisis. At its mean, snakelike best, it’s also a brutally assured commercial action picture, unburdened by the moral qualms or unnerving ambiguity of its predecessor. Both factors may help it find a larger international audience than “Sicario” (2015), written, as is the sequel, by Taylor Sheridan. He’s the man behind the Oscar-nominated “Hell or High Water” (2016) and “Wind River” (2017) as well. His scripts make a strong argument for Sheridan being the premier Western revivalist in American movies, bending and twisting themes of lawless frontier violence, familiar from a century’s worth of Westerns, into bloody 21st century fables of rough justice under widescreen skies. The two “Sicario” films represent two different kinds of ventures. The new one makes no room for an ethically conflicted female protagonist complicating our responses to the brutalities on screen, the way Emily Blunt’s FBI agent did in director Denis Villenveue’s original. 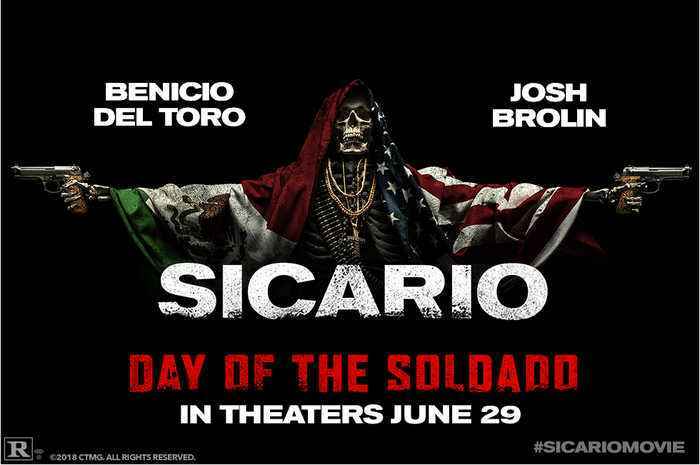 The “Day of the Soldado” subtitle makes it plain: The righteous U.S.-sanctioned warriors played by Josh Brolin and Benicio Del Toro, key supporting characters in the earlier picture, are running things now, mowing down drug cartel goons and Mexican federaleswith impunity while revealing their softer, more caring sides along the way. The prologue sets the stakes, and plays like the stray imaginings of our current president. Along the Mexico/U.S. border, a cartel-paid coyote leads a group of desperate migrants across a river at night. U.S. border patrol helicopters and ground vehicles prepare for another routine roundup. One migrant, however, is revealed to be a suicide bomber. This is followed by a second and even more deadly terrorist attack on American soil, inside a store in Kansas City. For a few excruciating seconds, director Stefano Sollima’s camera lingers on a mother and a child, on the other side of the sliding glass entry doors, pleading for their lives. Ensuring the audience will consent to every form of retaliatory good-guy violence, these early sections of “Day of the Soldado” know exactly what they’re doing, for better or worse. A hardened black ops specialist, CIA agent Matt Graver (Brolin) gets the go-ahead from his superiors to provoke an intramurual war among the powerful cartels. Graver reteams with Medellin attorney-turned-assassin-for-hire Alejandro Gillick (Del Toro), whose family was wiped out by a rival kingpin. The mission: kidnap a drug lord’s 12-year-old daughter, Isabela (Isabela Moner), frame a rival gang for the kidnapping — and sit back and watch the ensuing carnage. But there are personal reckonings en route to “mission accomplished.” A Mexican ambush on the kidnappers leaves blood splattered all over a stretch of rural highway. The horrified Isabela takes off on her own, with Alejandro in pursuit. The hit man (aka “sicario”) had a daughter of his own, once, and in Isabela he sees a surrogate and a chance at redemption. Here “Day of the Soldado” turns sentimental, with our stoic angel of death and his human cargo taking shelter in the home of a deaf peasant (Bruno Bichir, brother of Demian) named, unfortunately, Angel. Clearly Sheridan has his shameless side, and in a Hollywood Reporter interview he spoke of his penchant for “absurdly simple” plots, light on exposition. This holds true for “Day of the Soldado,” though anyone unfamiliar with the first “Sicario” may run into some confusion regarding motivations and alliances. Still: An Italian veteran of crime-oriented television and some feature work, director Sollima has a clear future in English-language crime stories. (“Day of the Soldado” is mostly in English, with a smattering of subtitled Spanish, and was filmed in New Mexico and in Mexico City.) He bears down hard on the killings, not to elicit a complex reaction, but simply to startle or excite. The next chapter, should it come to pass, is set up by the subplot involving Mexican-American teenager Miguel (Elijah Rodriguez), a nice young McAllen, Texas, boy seduced into the world of the cartels and human trafficking. By comparison, Catherine Keener and Matthew Modine (as the deputy CIA director and defense secretary, respectively) barely register. With Keener it’s the fault of the material; with Modine, it’s more a matter of an actor with decades of experience and not much seasoning. The solid if unspectacular box office success of the first “Sicario” wouldn’t typically merit a follow-up. But Sheridan and his producers sensed a hunger for a straight-up genre exercise. 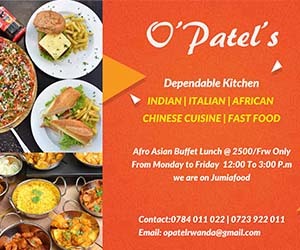 Already some have declared it superior to the original. I’m not one of them, though Brolin and Del Toro are first-rate, and clearly relish their expanded opportunities for lethal advancement. I first saw “Day of the Soldado” four months ago in an early screening, well before the wails of migrant children separated from their border-crossing families were heard around the world. I saw it again the other day. Its newly acquired topicality lends the movie an air of inflated importance. It is, after all and finally, content to do its dirty job well enough, before moving on to the next mission.